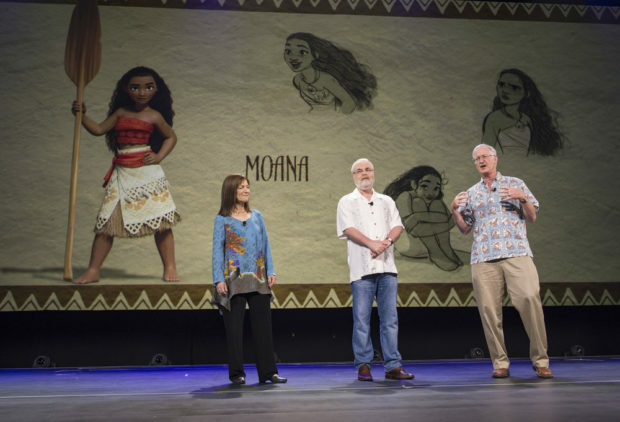 Recently, I had the opportunity to sit down with Osnat Shurer, the producer of Disney’s newest animated film Moana. During our conversation we discussed her inspiration for working as a producer, advice she has for people interested in producing in the future, and the importance of building a good team for a film. Osnat Shurer has an incredible history working for both Pixar and Walt Disney Animation Studios. 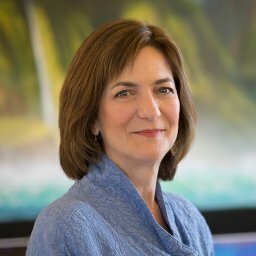 At Pixar she served as the executive producer of the animated shorts group for five years leading the creation of all the classic short films, theme park attractions, Pixar museum installations, and Blu-Ray releases. Now, at Disney she has worked as the head of development during production of Frozen, Big Hero 6, and Wreck-it Ralph. 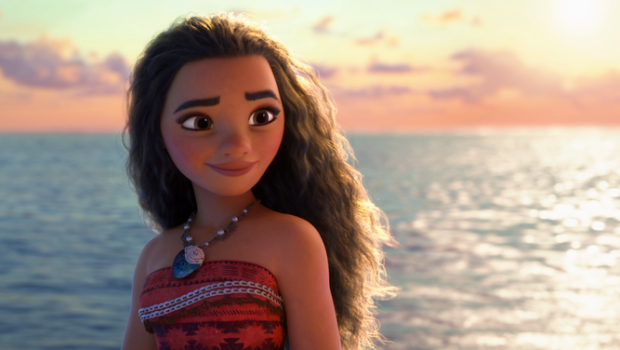 Then, she was asked to work on Moana full time and became the producer of the film. Gavin Doyle: First, you obviously did something really well with Pixar for them to bring you back for this film and to work on development back to Disney. What quality do you think the Pixar team loved so much in you that they wanted you at Disney? Osnat Shurer: Well I think, first of all, it’s just my love for the medium and for animation and also of for me, it was the opportunity to work with John Lasseter again. John’s a mentor to me. I think he’s one of the greatest storytellers living and so for me, it was a no-brainer to come and work with John again. I think for this film in particular. I came back to head of development, but within about 6 months or so Ron Clements and John Musker asked if I would produce their film. 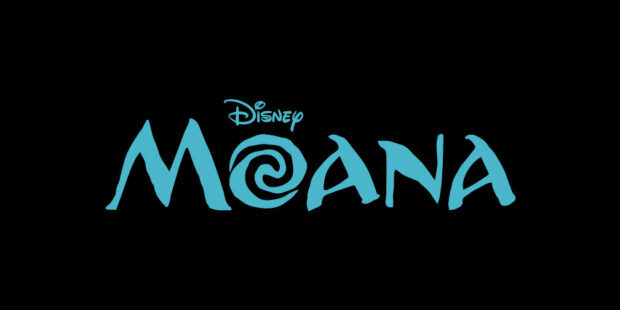 For awhile I held both positions, but eventually I moved on to focus solely on Moana. I think part of what I was able to bring to the film was my background in documentaries. I grew up all over the world, I’m an airline brat. So travel and understanding other cultures and fostering a love for other cultures in inherent for me. The experience of being with other cultures, of listening, of hearing, of integrating them. I think that was part of just what came with the experience I’d had throughout my life. So hopefully those were some the things that came to the table. Gavin Doyle: What’s it like being the person who works on business side of the film in a creative driven studio working to allow the creatives to execute their vision? Osnat Shurer: Actually we sit in all the creative planning sessions togethers. The role of the producers on our films is actually in the heart of the creative. There’s the business side of it, of course, keeping the film on budget and completing the film on time. I sit with the directors and the heart of story: editorial, casting, music as producer I get to be an integral part of the creative process of a film, which is really really cool. Gavin Doyle: Great. I’m actually studying at USC right now. I’m in the business cinematic arts program that grooms people to work as producers in the future. What kind of advice do you have for aspiring film producers? Osnat Shurer: How much time do you have? For me, producing which I love particularly at Disney animation and Pixar it’s the same thing, where it’s a very creative-led company, and it’s not about suits, it’s not about execs, it’s about leading with story, which is where I come from. I went to film school. I write, it interests me, it fascinates me. To me, my advice to producer would be one, do whatever’s needed in any situation, that’s our job. Your job is to do what’s needed. When I was out on documentaries in Tibet, what was needed was hand-copying the script because there’s nowhere to Xerox. I did it by the light of a candle. You know that’s what you need to do. Just do what’s needed. Two, to learn, if you’re aspiring to be a producer so it’s a little bit different than a line producer that just tends to be more in the business and scheduling side, you need to know some of that because you’re responsible for that as well but to learn how to manage the creative process. Managing the creative process is very different than managing doodads and dingbats, you know. It’s very different than, you know, even though there is a production line, it’s not a rigid even if things do work especially in animation, they work in a certain order, I can’t model my characters until they’ve been designed. I can’t design them until we know what the story is. It all starts and ends at the story, at the heart. It’s a wheel, where at the hub of it is the story. It’s not a line. The creative process needs to breathe. You’re sitting in a room where people are trying to solve a story issue give it time, let it breathe. Even if as a producer, you know that that’s an idea that will never fly. Or it’s an idea that we can’t afford anymore. I don’t have anymore model or stop coming up with five more transformations for Maui. Let it breathe, let it happen because inevitably that will lead to a better idea. That idea might not work but inevitably that will lead to another idea so your job as a producer is to find a balance between letting the creative process breathe, you can’t pull a tree up and make it grow. You have to let it go. You get fertilizer and water and you let it grow. Let it breathe, and yet gentle it along, because it’s also my job that there’d be a movie onscreen, and a good one. So that balance I think, learning to manage the creative process, to me, you can’t do that unless you try on your own bones. You need to try to do creative things. See what it’s like to get notes. You can’t give people notes until you know what it’s like to get notes. So you can make them constructive, upbeat, make people do what they need to do. Never smash it down. Those are the key things. Gavin Doyle: In my interview with Don Hahn, his advice, was all about finding the right people. What was that like for you in finding the right people and putting them together? Osnat Shurer: Yes, that’s a big part of it. But, to be fair, Ron and John were already in place. The key people were there and they asked me to join them and you know, these are the animation greats of all time. There’s that and John Lasseter our chief creative officer was already there. Everything after that is really about the team. Any creative endeavor, is certainly about the team when it comes down to it. We are living together for five years, it’s not like live action where people come together and break apart where I came from originally. At that point, it becomes about the people who can bring what’s needed to the table, whether it’s the storytelling capacity or Pacific Island musicians or whatever it is, and then their compatibility with the rest of the team. At Disney animation, our leader’s John Lasseter and we only work with good people so they have to be good at what they do, but more importantly they have to be good people. In the end, we’re all hanging out together making this thing and if people aren’t uplifting, we won’t have an uplifting product. So it’s about finding the right teams but also making sure that good people you want to spend all this time with you know. Gavin Doyle: It’s a lot like the old studio system. People stay together and becomes this family. Osnat Shurer: Yeah it is actually. Animation is like that and you know, I’ve talked about this with John Lasseter many times, I can’t understand why other people can’t do this. Part of the secret of Disney animation and Pixar is we have our story trust where all the directors and writers on other movie set aside what they’re doing, they put aside their movie for the day, for two days, for three days whatever it takes. We watch our screening and we sift through good notes. Notes are thrown out by anybody in the room. If it’s an interesting note, or if somebody else had a similar note, it will get some traction then we will spend the day, two days, we’ll do an off site with some subset of the directors and look for solutions for some of those problems. This is an amazing gift to have. One great idea and he pitches it so hard to action directors and they look at him, he’s insane. Show my unfinished movie to another director? I don’t think so. That, I think is one of the keys to the success of Disney and its stories. There’s a commitment around making all the stories good, you get your peers. Your peers, some of the greatest storytellers in the world want your movie to succeed and are willing to put the time and the effort into helping you to figure out how to do that. Who else gets that? That spirit of generosity is not something you see very often. Gavin Doyle: Now you worked at Pixar and Disney Animation, John Lasseter talks about keeping them separate but sharing the good attributes between the two, what are the kind of differences do you see between these two studios? Osnat Shurer: The main difference aside from one has fog and the other doesn’t, is the people. It’s only different people, their philosophies are the same. It’s driven by filmmakers and the group of filmmakers in both is different. We have this 90-year legacy that’s amazing and yeah may be held to a high standard but nothing wrong to being held to a high standard, and our histories are slightly different. But the truth is it’s all about the people who were there and how the atmosphere we create in the studio going forward. I can tell you that both places are amazing places to work, and right now, in this moment in time, the last 5 years in Disney animation the spirit of collaboration and generosity and excitement about the movies we’re making, the pride in them, and the quality of the work! I mean we have the best animators in the world. It’s hard to go wrong. Just helping create the vision and hold it off together is what we need to do. Gavin Doyle: And what’s that pressure like on those amazing people, just you have to have this kind of great final product that fits in with the rest of the catalogue? Osnat Shurer: You know you’re thinking less about fitting in with anything and more about this movie. We’re all within this movie. We’re in this moment. People are learning for example are the animators. They’re focusing on who this character is. They’re focusing on watching you know watching Aulili, watching Dwayne, and the action adventure. Learning to sail. You have to learn how to sail before you can animate sailing right? Understanding some of these things. Understanding the culture. Our heads of animation went to Tahiti and spent some time there to absorb the feel and the movement of the people, the movement of the hair and the breeze. I think people were just looking at what’s in front of them. Our technology team, our CG, water is notoriously hard to do. What do we have? A movie with 85% water. The teams didn’t give them that’s impossible, “That’s an interesting challenge,” and rose to it. And honestly a couple months ago, I didn’t know if the water would come together entirely what it needs to do because it was all complete birther technology. Skin! You know we showed so much skin because that’s the culture and so that’s in that time and in that place. We have to figure out anatomy because we’re not hiding it behind cloth. Hair! That stunning hair gets wet, she messes with it all the time, gets put in a bun. All no-nos in CG, and we did all of them. And again, the team just rose to it, yay a new challenge! Will our next movie be about water? No! Of course not! We’ll have a new challenge for the team. Read my full review of the movie, sign up for our newsletter, and watch the trailer below.